Last week the launch of the CHIC project was announced. The CHIC project is funded by the European Union’s Horizon 2020 research and innovation program under grant agreement No 760891. 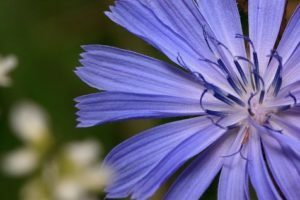 The research will focus on chicory as a multipurpose crop for dietary fibre and medicinal terpenes. KeyGene, one of the 17 members of the consortium, is looking forward working on this challenging topic. • The €7.3 million project supports the establishment of a responsible innovation pathway for the development and application of New Plant Breeding Techniques (NPBTs) for chicory as a multipurpose crop for the production of high value consumer products, in line with societal needs and concerns. • The consortium includes SMEs, an industrial partner, non-profit organizations and research institutes from 11 European countries and one from New Zealand. To achieve this, new chicory varieties must be developed. However, chicory breeding is currently exceptionally time-consuming. Since it is an obligatory outcrossing species, no true varieties can be obtained, and germplasm is maintained by in vitro propagation. Therefore, chicory is a highly relevant case where new plant breeding technologies (considered in the NPBT set)1 can make a real difference. Some EU member states and stakeholder groups are increasingly concerned about the impact of these technologies on the safety of its daily food and the integrity of the environment. Moreover, a clear EU regulation or policy on new plant breeding technologies is still pending. This has led to a situation where the industry is hesitant to adopt novel developments, and potentially beneficial innovations do not reach consumers. The consortium will evaluate the technological performance of these new plant breeding technologies, as well as the safety, environmental, regulatory, socio-economic and broader societal issues associated with them. CHIC will strive to ensure responsible innovation and to raise public awareness by involving stakeholders and considering their needs and concerns in all phases of the project.